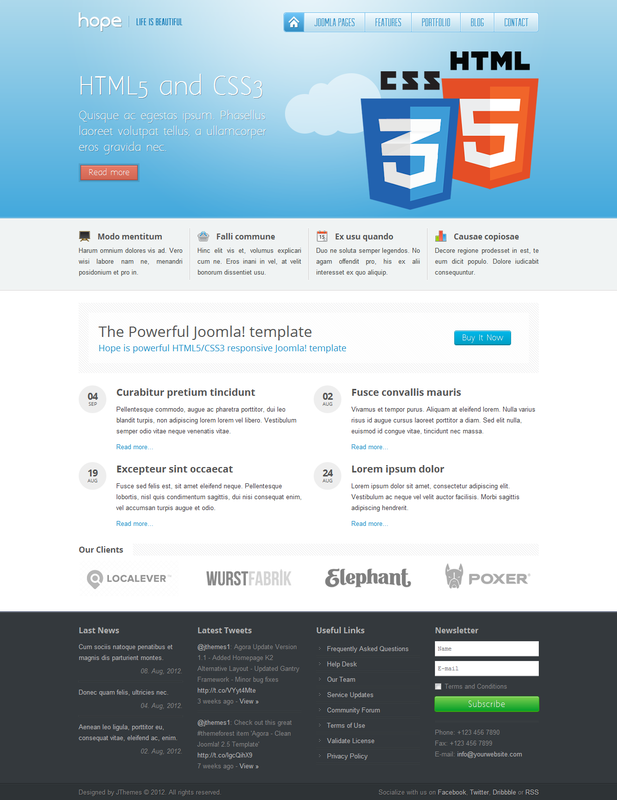 Hope is a Responsive Joomla! 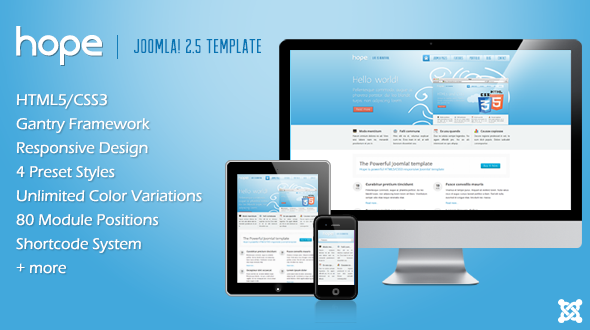 2.5 Template build with Powerful Gantry Framework. The template comes with 4 preset color styles and possibility of unlimited color variations and combinations.